Fashion is an important asset for today’s world. Everyone wants to look just perfect. To make ourselves a perfect fit in this ever growing world, we need to be careful while selecting our clothes, footwear and many other things. But when it comes to do styling for our hairs, We all know that “the hair game” is a lot breathtaking because one bad hair cut can ruin your entire mood for next 3-4 months. So if you planning to bring a change in you hair style and getting confused when it comes to selecting the right hair salon near you. Don’t worry we have just picked top 10 hair salons in San Diego to make your search easy. We know that change is the only way to feel charged and fresh. So if you willingly want a great change in your hair styling, then the lab a salon is a perfect place for you. The staff is friendly and cooperative. You won’t feel hesitated while discussing what you need what you want. The lab a salon offers wide variety of services including innovative cuts, creative colors extensions makeup and more. Location: 3034 University Ave, San Diego , CA 92104 , USA. Salon ink is so much to offer in just one place, with very reasonable price. The staff of the salon is highly experienced and work passionately. Everyone is really kind and their hair washes rooms are like mini home. You won’t walk out from there without feeling fabulous. Being one of the top hair salon in San Diego, ”SALON INK” is known for their high client satisfaction rate, relaxing environment for customers and peaceful interior. Location: 3957,Goldfintch ST, San Diego, CA 92103 , USA. Opening time: 10am to 10pm. Your hairs deserves the best treatment and when the word “best” come in your mind , no place is far better than Rinse Salon. The interior of the salon is cool and inviting. They have thousands of ideas in their offered services for your hairs, so it is assured if you are here, you definitely won’t get confuse. The skill set of the stylist here, is far superior to the vast majority of stylists. Environment, interior ,staff, surrounding ,price, options, everything is exactly what you ever wished. Location: 4201,30th ST #100, San Diego, CA 92104, USA. Opening time: 9am to 8pm. It is always a challenge to find a salon and staff of stylist that will not only cut your hair well, but be consistent in cutting it right. Hair Drezzers on fire is a place just like this. You won’t feel disappointed with their work. Once you start coming here. It keeps you looking outstanding. They constantly provides new services and coupons for their new customers as well as existing ones. So hurry, go and grab your deal now. Location: 3463 Adams Ave, San Diego, CA 92116, USA. Most of the salon needs no introduction because they have already gained their customers trust by giving them their kind and awesome services. “The style lounge salon” is one of this kind of salon in San Diego. You will love the way they interact with their customers, they are responsively client focused and very knowledgeable in their art of styling. So don’t wait and have an appointment now. Location: 546 6th Ave, San Diego , CA 92101, USA. Opening time: 10am to 6pm . This salon have more than 30 stylists, working here. Everyone is easily approachable and informative. This salon is situated in San Diego more then 13-14 year. No wonder you will never find more trustworthy place like here. They are just perfect in what they are offering. So try this place and never miss a chance to feel great about your hairs. Location: 969 Garnet Ave, San Diego, CA 92109, USA. Opening time: 10am to 8pm. This is a unisexual salon situated in San Diego for more than 10 years. You can blindly trust this place with your grooming desire. 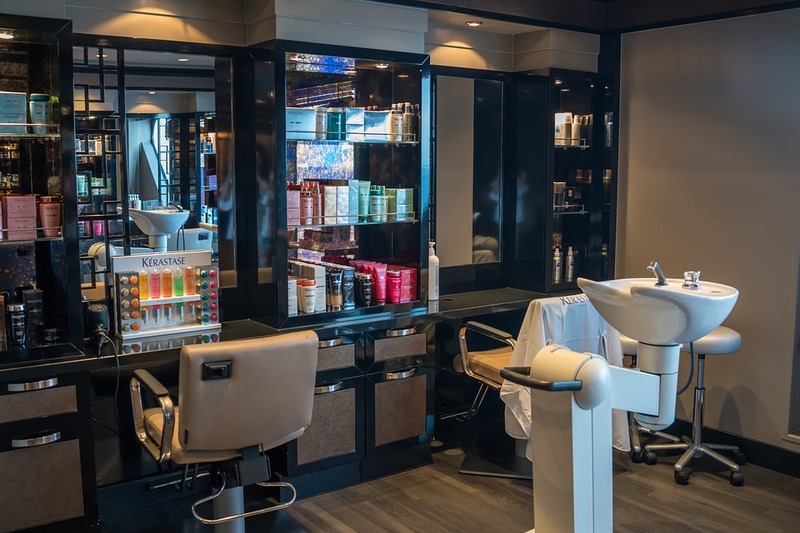 “Tailored Hair For Men Salon” is located in great atmosphere , everyone is super friendly, and this place have super friendly feeling as soon as you walk in. you will get awesome services just in pocket price. Location: 350 11th Ave, San Diego ,CA 92109 , USA. If you are a lot conscious about you and you want to look best. This place is for you. “The fox and jane” salon provides effective way of grooming to the customers especially to those who are very conscious about the price. It is small, cute and beautiful salon which has aesthetic, cool, and super relaxing environment. The location is very appealing for this salon. So hurry, go and get what you want. Location: 2870 5thAve #101, San Diego, CA 92103, USA. Opening time: 10am to 6pm. “Jesline Salon And Boutique” is a well known and has a great reputation in providing a complete services in the field of beauty care and hair care. Certified stylists and experienced work here to make you feel satisfied with their work. Each and every treatment is done with a scientific approach and knowledge. If you want a great change in your personality, than choosing jeslin salon is definitely a great choice. Location: 9231, San Diego ,CA 92101 , USA. “The Belli-Belli Salon” is most glamerous salon in the California. There are many kind of hair treatment, cuts, styling, coloring provided by the team having different experienced stylists. Te stylist of this salon make sure that you leave here with beautiful hair, beautiful spirit, and with beautiful mindset. Location:3461, Ingraham ST, San Diego ,CA 92109 , USA. Opening time: 8am to 11pm.